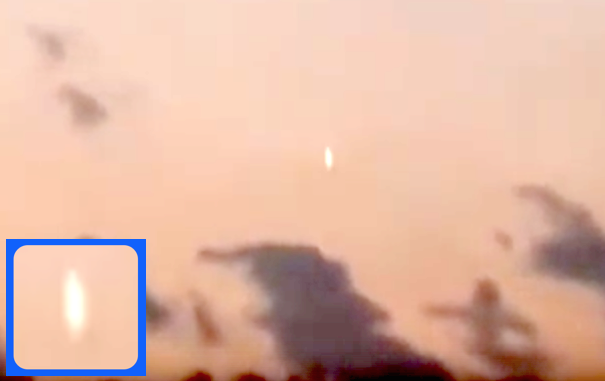 UFO SIGHTINGS DAILY: Glowing UFO During Sunset Over Tulsa, Oklahoma On Aug 5, 2015, Video, UFO Sighting News. Glowing UFO During Sunset Over Tulsa, Oklahoma On Aug 5, 2015, Video, UFO Sighting News. I have always said, if you want to see a UFO, go watch a few sunsets. During a sunset, UFOs are vulnerable to the suns rays at a 90 degree in the sky, causing the cloak to become visible for 30 seconds to 10 minutes. This UFO was moving fast. In the two minutes of footage, at the end the object disappeared of the clouds on the horizon. I was driving home from work on highway 169 northbound. I noticed it slowly descending in the western sky during sunset. It was falling slowly enough to catch my attention. I pulled out my phone and took a photo, then started recording. I recorded it for a little over two minutes. When I got home I showed it to my wife and she could not identify it. I posted it the next day on Facebook. It attracted lots of attention. Multiple people recommended I report it to this site. It may simply be a passing comet, however it's glow never dissipated and it did not give off a tail/trail behind it. NOTE: This case was closed by Oklahoma MUFON as an Unknown.